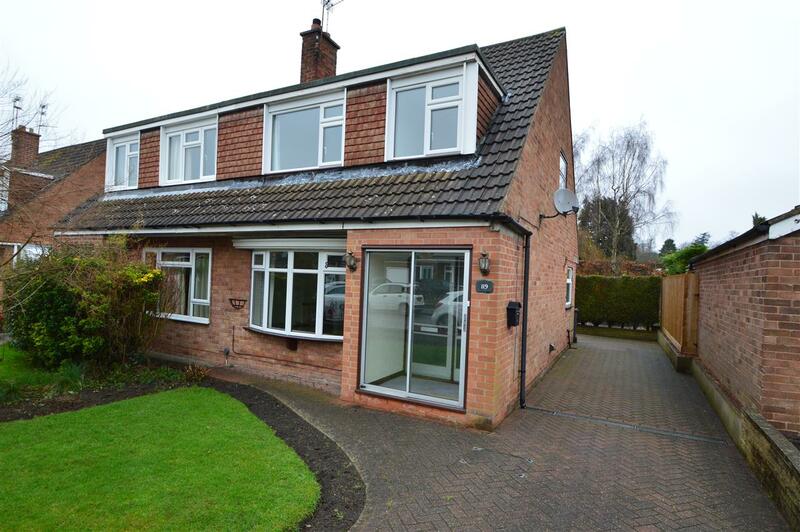 Benjamins are pleased to bring to the market a well-presented three-bedroom semi-detached house with off road Parking in the desirable Keyworth area. The property is available to purchase with No Onward Chain. The property briefly comprises; Entrance porch, Large Living Area, Dining Area, Modern Fitted Kitchen, Family Bathroom, Front and Rear Gardens. Benefiting from No Onward Chain, close to good Primary & Secondary Schools, excellent bus service into West Bridgford and Nottingham City Centre. To the first floor two good sized Double bedrooms and a further single Bedroom, 3-piece bathroom suite with shower over bath. There is off road parking to the side of the property. The property has a laid to lawn garden with patio area to the rear. Entrance via a UPVC double glazed door into open plan hallway living room. Archway from living room, carpet, radiator, single light fitting, door leading in to kitchen and sliding patio doors onto rear garden. Three piece bathroom suite includes bath with mixer taps and shower fitting over bath, wash hand basin, toilet, radiator, fully tiled walls, storage, UPVC double glazed window over the rear aspect. The rear garden is fully enclosed and has a large paved patio, laid lawn, mature shrubs and flowers. The front garden has a laid lawn, border with flowers, driveway providing space for a number of cars.